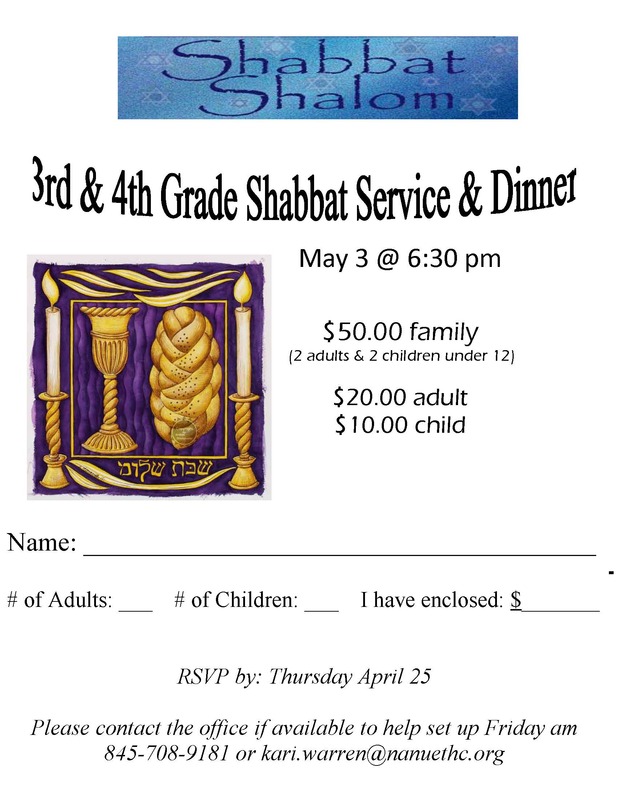 Please Click Here for our latest Weekly E-Newsletter. 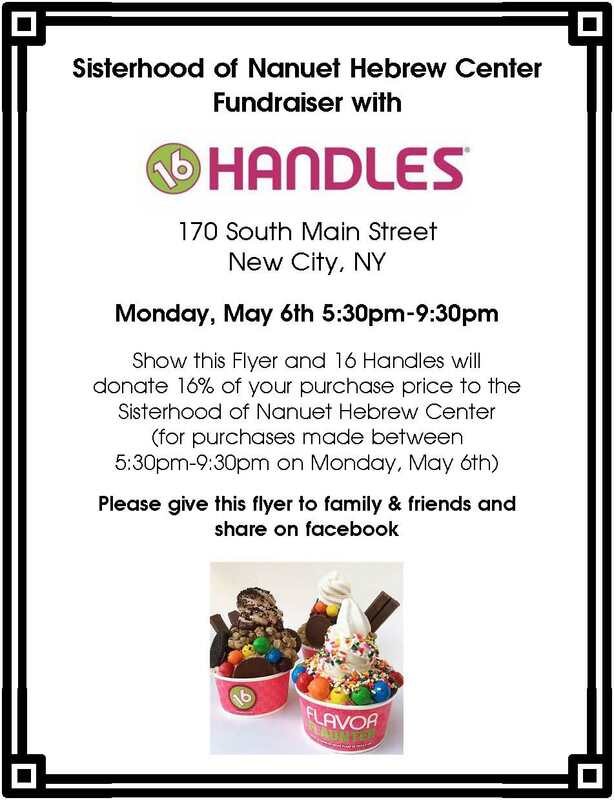 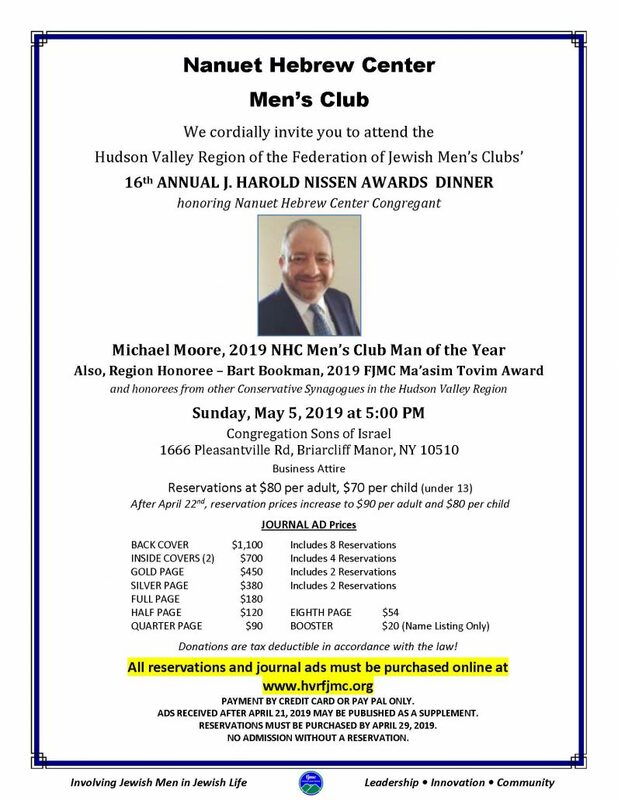 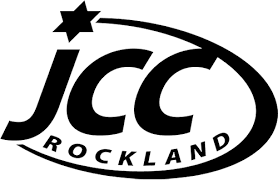 This includes updated information on upcoming events in and around Nanuet Hebrew Center. 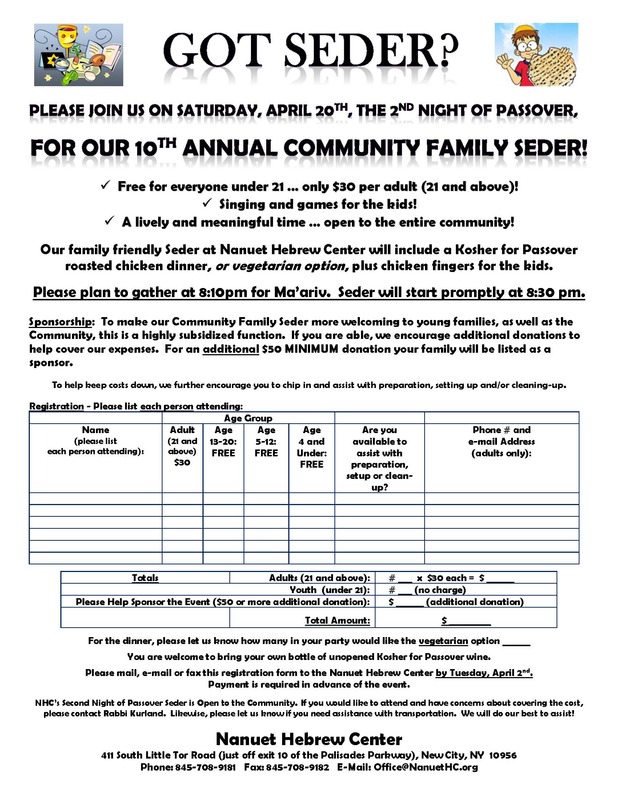 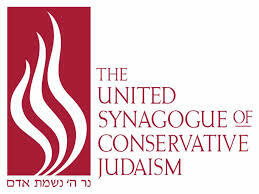 KIDDUSH – Saturday Morning: Sponsor/co-sponsor for any simcha. 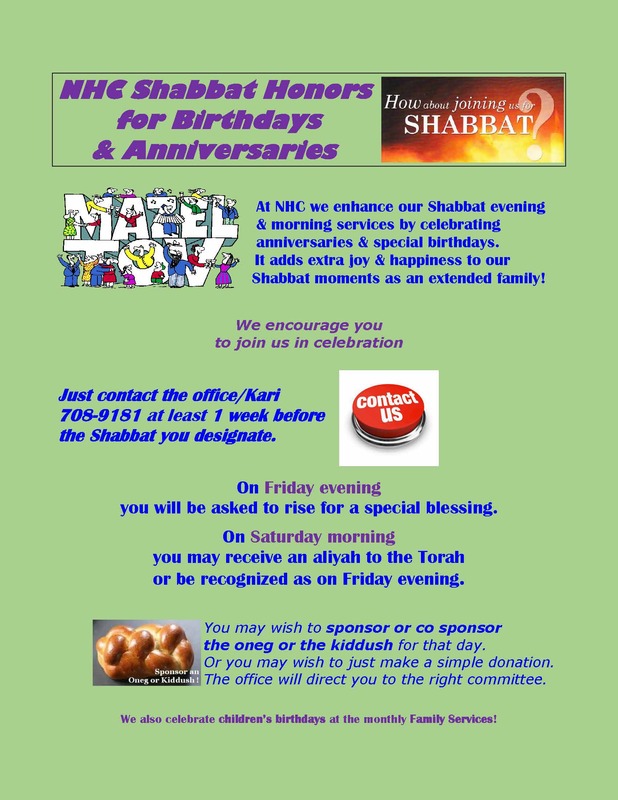 ONEG – Friday Evening: Sponsor/co-sponsor or honor your child’s birthday at the appropriate Family Service. 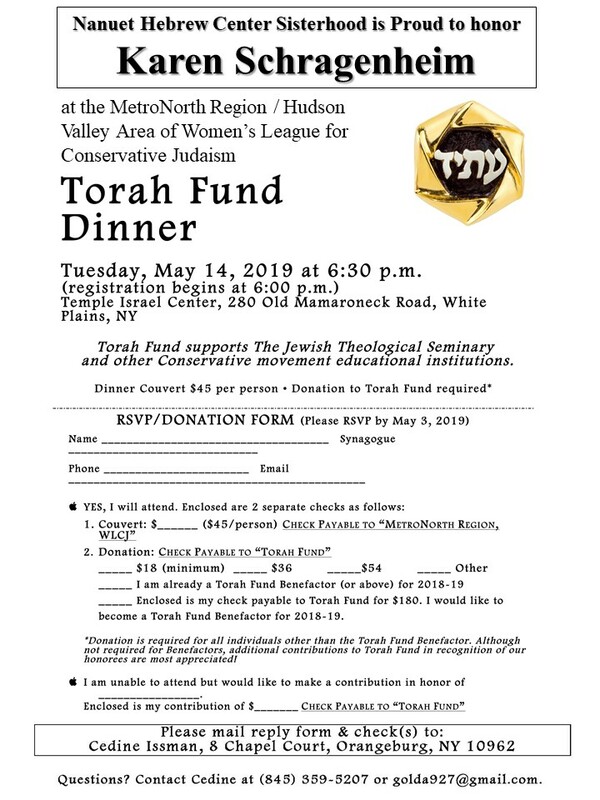 As always, for more information on being a sponsor and/or supporter of our Kiddush, please contact our Catering Department at catering@nanuethc.org or (845) 708-9181.